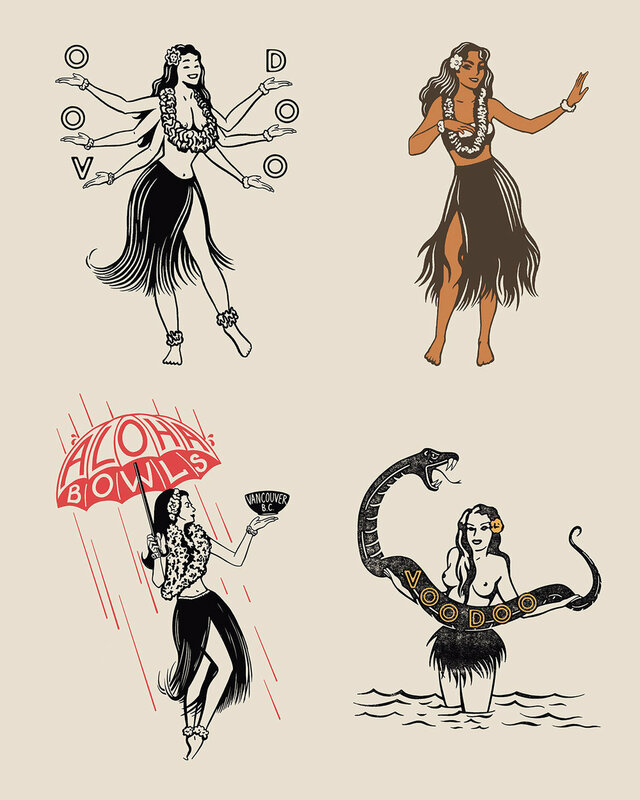 "Haole Days" Collection - a Hawaiian Christmas themed design for O'Neill clothing. A closeup view: Santa wrestling a shark. I recently had the opportunity to design a t-shirt for LC King, makers of Pointer Brand Clothing. If you haven't heard about LC King and Pointer Brand, it's time for a closer look. Founded in 1913 by Landon Clayton King, it is the oldest family owned & operated clothing factory in the USA. The factory in downtown Bristol, Tennessee has been in the hands of the King family for more than 100 years and four generations. When I design t-shirt graphics, I almost always design a version for light fabric and a version for dark fabric. This helps the client visualize how the design will look. It also helps me to pick ink colors. As well as foresee potential issues with screen printing. If you examine these cads, you will notice how the dog art needed to be "flipped" so that it didn't have the "x-ray" effect. This can be a problem when printing one-color designs. They ended up printing the design on a black t-shirt (good choice!). This tee is exclusive to the factory store in Bristol. It's not online. Go say hello and see the tradition / American made heritage / pride / workmanship for yourself. Read more about LC King here. In 2005, I cold-pitched this design to Local Motion in Hawaii. They bought it, along with a few other graphics. All of a sudden, all my trips to Hawaii were business write-offs. This led to me doing more graphics for other Hawaiian surf companies like T&C and HIC. Billabong hired me because they needed someone to help out with Hawaii and destination tees and in-line designs. Then this eventually led to doing work for O'Neill, as well as a lot of other designs I've made in the surf industry. This graphic was made from a crappy snapshot of an old ford bronco that I spotted in Ala Moana Beach Park. I plan to do a design tutorial soon showing how to make t-shirt graphics using this method. The thing I like about this design is it still looks fresh. How about a reissue? I still have the Illustrator file. What do Whales in Tonga have to do with Graphic Design? 2016 so far has been the year of the WORKSHOP. I teach a few of them, myself (you can see the workshops here). But I also participate in other experts' workshops. For instance, early this year, I went up to Portland Oregon to learn Hand Lettering and also Screen Printing from the guys at House Industries. House is a font foundry and design studio that has been putting out great stuff for more than two decades. The most recent workshop I attended was a whale photography workshop hosted by Australian Nature Photographer, Craig Parry. I've been wanting to improve my photography skills for some time now. And the Kingdom of Tonga, with its yearly migration of humpback whales was the perfect place to hone those skills. The whales can move quickly, so the added pressure of a moving target really helped cement the camera settings in my mind. It's all about anticipating and quickly adjusting the camera settings: F-Stop, Shutter Speed and ISO. We shot everything in Manual mode. I learned from day one that if you try and shoot underwater in Automatic mode, your photograph will come out sub-par almost every time. I use quite a bit of photography in my designs, so these new found skills will come in handy down the road. I'm hoping to sell some art prints, or perhaps turn some of these into t-shirt designs. Tonga has the clearest, most deep blue water I've ever seen. A big plus for underwater photography. The "over/under" or "split shot" is another water photography technique we worked on. This is one of the many small islands in the Vava'u group. A curious baby humpback approaches (and dwarfs) one of the photographers who participated in the workshop. A palm tree-filled beach in Vava'u, Tonga. This might make a good t-shirt design! 45 feet in length. 80,000 pounds. Humpback whales are some of the most gentle creatures you can witness in the wild. When I was a student at Art Center College of Design in Pasadena, one of the things I appreciated was that the instructors were required to also be working professionally in their chosen fields of design. I felt this added credibility to what the instructors taught. As a student, you could be assured that the instructors' teachings were relevant to current design trends and met realistic design constraints & capabilities. I try and do the same with my own business & teachings by designing for companies in the real world. As some of you know, in addition to running TheVectorLab and teaching Graphic Design Workshops, I also design t-shirts and prints for the surf apparel industry. I recently updated the blog with some graphic designs from my personal portfolio. I hope you enjoy! Today's post is related to questions I often receive about how to get graphic design gigs, especially with your favorite brands. The question usually sounds something like this: "How did you get, or how does one get, a client like X? I really want to get into doing design for the surf, skate, outdoor, motorcycle, athletic, yoga, etc. industry, but find it a bit difficult, considering I don't live nearby. Any suggestions, dialogue, etc. would be appreciated." 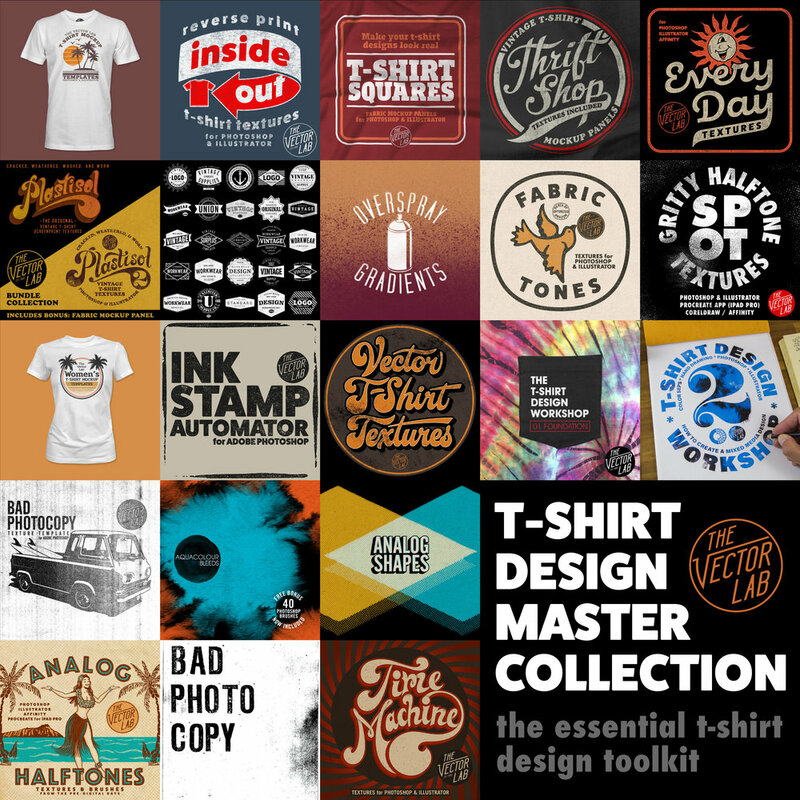 My answer is skewed towards t-shirt graphic design because that has been my focus, but you can take the spirit of it and apply these steps to your own desired flavor of graphic design work. 1) Decide on a company to target. Small to medium sized companies are the best bet. But I imagine this strategy could also work with large companies like Nike. 2) Find the appropriate contact person. Find the name of the Art Director or Creative Director for your desired line of work. Example: t-shirt graphics, marketing, etc. LinkedIn is probably the best way to find out who is who nowadays. Call the company, ask for the Art Director, and ask that person if they take outside submissions for artwork. This step is optional, but it's a good idea to give it a shot. I feel like a telephone call is more effective because EVERYONE ELSE would attempt this by email. The point here is to stand out just a bit by displaying some effort. Unless your target company is one of the few that readily asks for and accepts outside art submissions, you will probably need to make your own self-directed project. 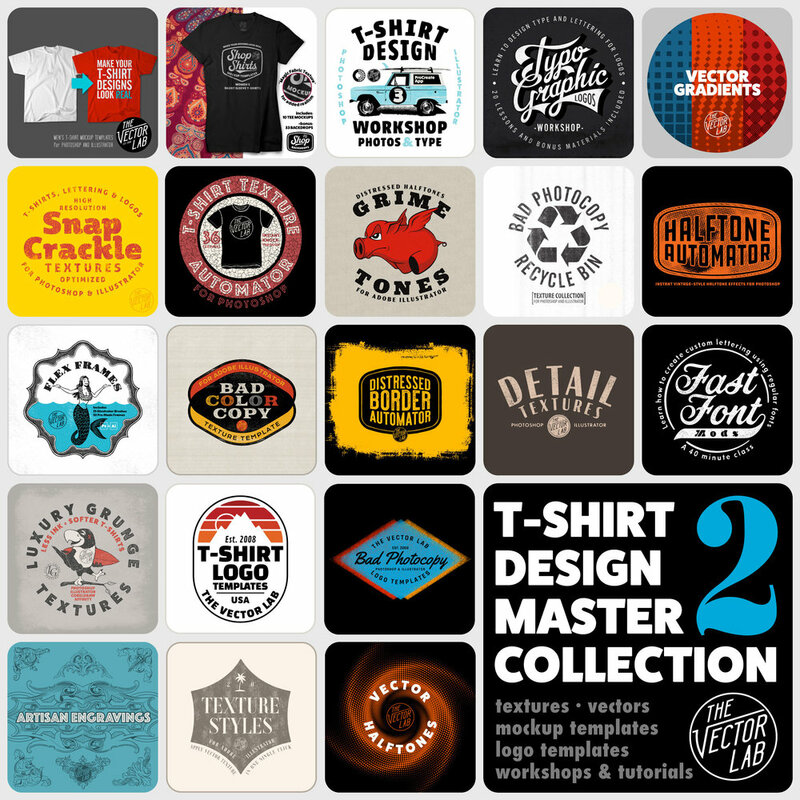 Design graphics using their branding (t-shirt designs, or a fictional advertisement for example). Whatever you design, it has to be really good. Quality of design needs to be as good as something they would make in-house. 5) Print these designs up in physical form. If they are t-shirt designs, you could print them onto t-shirts with a hobby screen-printing kit (about $50 from Michaels or Amazon). Or, you could print them out on nice archival paper, like they are big art prints that someone would hang on a wall. The point is to really impress the person opening the package. Make it super easy for them to imagine your designs printed on their products, or in their ads. Your designs should be specifically made for that brand. Sending a hand screen-printed design is way better than an 8.5 x 11 inkjet print because it shows you don't mind putting effort into your craft. 6) Package everything up and mail it to the Art Director. Put a note in the package that says "I'm interested in designing for your company. Let me know if you have a need for some design work." Don't forget to put your name, email, and phone number. 7) See if you get a response. Send the package, and give it a week or so and see if you get a call back. If not, call and see if your person got the package, and if they would be interested in talking. That should get your foot in the door if your designs are pretty good. If it doesn't go anywhere, at least you can put it in your portfolio as a self-directed project to show to other companies. The point is, avoid what your competition does. Go old-school and call instead of emailing. This isn't a hashtag-filled broadcast for everyone in your Instagram or Facebook feed to see. It's a focused package specifically made for your Art Director contact. Print things oversized, (hand-made, if possible or appropriate) and actually send it in the mail. It takes some effort. But it will get you noticed, because this sort of thing is rare these days. No need to be outlandish or obnoxious. Don't come across as pushy or burdensome. Don't put your contact into a position of doing extra work. Just surprise and delight the Art Director with good graphic designs - this will get you noticed. O'Neill is known as the Original American Surfing Company. It began as a wetsuit company and surf shop, founded by Jack O'Neill in 1952. It continues to be one of the most sought-after surf brands today. Here's a compilation of some more recent t-shirt graphics.